We believe that it is important for us all to do what we can for the environment and that we all want to contribute by using energy as efficiently as possible. The problem is that we do not usually know how we could or should save energy, nor where to start from. It is important that we make the best actions for our situation when trying be energy efficient, unfortunately, without having the information we need this might not be possible. The goal with smart meters is to raise the awareness about the cost of power and to encourage consumers to be more energy efficient. The smart meters are needed as a first step to provide consumers access to right and relevant information, enabling actions with best possible short and long term effects. The requirements for smart meters are changing, from one meter reading a month to readings every 15 minutes (moving down to ”almost real time”). As more frequent data is generated by the smart meters, security and privacy aspects become more and more important. Managing smart metering data introduces challenging new demands, not only in the infrastructure needed in storing but also in how we approach and handle the data. The new challenges do not only include what data to store where to it (so called Big Data) but also how to curate, search, share, analyze and visualize the data. Internet of Things and Big Data may be buzz words of today, but for Comsel, The Internet of Things is at the core of what we have been doing since 1997, be it called Remote Data Acquisition and Control, Telematics or Machine to Machine. "If you do not measure it, you can not improve it." Comsels business is to develop the next generation of AMR-solutions, also known as Smart Metering systems. These systems are key parts in the Smart grids area. Our focus is to provide products and services at the best possible total cost of ownership, to provide the highest possible SLA, security and privacy protection. Comsel System is a product design and development company specialized in development and industrialization engineering for the energy sector. We offer our customers a full range of Internet of Things products and services. Delivered data network consultancy service to the telecom sector since 1996. Launched its first Internet of Things TCP/IP product in 1997. Pioneered the AMR-market by providing a TCP/IP based AMR-concentrator in 1998. Was the first in the Nordics to deliver a large scale GPRS-based TCP/IP AMR-solution in 2004. 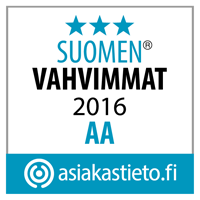 Successfully delivered more than one million metering points with TCP/IP-communication in the Nordic countries. 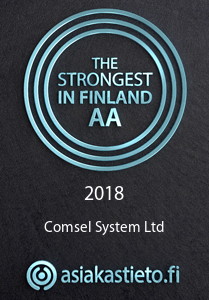 Comsel System was founded in Vaasa, Finland. Initially, the operations comprised planning and implementation of electricity installations, data network services and development of automation equipment (embedded systems). Electricity systems, data networking and embedded systems are still today the three cornerstones of Comsel’s products and solutions. Comsel started development of TCP/IP based remote acquisition and control/M2M (Internet of Things) CI/OS products, consisting of both embedded hardware and software. The main area for use of the CI/OS-products became remote reading of electricity-, district heating-, gas and water consumptions, i.e communication products for automatic meter reading, i.e. smart metering. Comsel’s core business is to develop IoT-products for smart metering, including related hardware and software. Our product development competence areas extend from mechanical design to cloud networking software. Operations in Stockholm, Sweden were established to focus on services in the area of data networks and communication. Comsel provides its IoT connectivity services through private network and/or the public Internet depending on the customers needs and requirements. Our IoT architecture enables genuine Big Data scalability in a secure and reliable way for our customers. Delivered GPRS TCP/IP-based metering points to different rollout projects in the Nordics, e.g. to two of the largest AMR-projects in Sweden (Fortum Sweden and E.On Sweden, approximately 1 million metering points). Launch of three new smart metering research & development projects, namely Corona (Smart Metering Service), Zodiac (Next generation Smart Metering terminal) and Neuron (IoT Sensor framework) to meet new market requirements. Comsel Corona Service Hub and Zodiac Smart Metering-modules have delivered over 65 million electricity and district heating measurements from installations in the Nordic countries. This is achieved with an SLA-level of 99.99%. To be the most trusted partner in delivering reliable, secure and future proof Internet of Things communication technology to the energy sector. To provide innovating, cost efficient smart metering products and services based on secure and reliable communication that meets our customers expectations. We love what we do and find joy in inspiring others. We serve our users with real value and we keep our promises. First impression lasts and everything we do, we do with our users perspective. Everyone needs feedback. We are thankful to users sharing their thoughts and for their contributions. We keep improving what we do to meet our users changing needs. We do what needs to be done and we do it with great care.